A hesitation before the jump could sabotage the fall. Learning to fly isn’t easy because most people forget that it starts with a jump. In fact the jump already happened and we’re all already falling but with so many looking for something to hold on to it’s easy to forget that everything has changed. If you’re still waiting to be born and feel you need more of a safety net before you make your jump I hope you will find all the support you need here. It’s important that everyone feels their safety net is adjusted to just the right height – maybe a little lower that we are comfortable with. And that’s what the community is all about. A common unity. To help you on your way @ChekaZ is running a competition. Keep your eyes peeled for further instructions on how to take part. I am so glad he invited me on his show. We made some important discoveries like Sacrifice is not the same as Surrender; legitimacy has to be earned; and it should be easier to get to the top than it is to stay there. We also talked about the need to scale but I believe it’s not about being big, it’s about being relevant. What’s decentralised is not the code or the server nodes but the idea itself. I really look forward to doing more stuff with these guys and if you do too please give us a shout and get involved. We are tool makers and mining hardware needs to be affordable and available to everyone. If I understand correctly @lizhi has created 240Khash output at 2 Watts per unit! This could be pretty significant. And this is what it’s all about: the people at the top giving those at the bottom, who have the best perspective, everything they need to remove their barriers to success. Hardware like this can easily be open sourced and made available to people all over the world to join the network. Spreading the network across geographic as well as cultural lines places a higher burden on a would be attacker as no attack can take place without collusion. That collusion in turn requires a co-understanding with other peers. Which means that by the time the attacker has achieved their aim they have unwittingly taken part in producing the very outcome we are all here to work towards. You can follow the thread along with @Lizhi’s progress on his thread. @Severino has been asking for ages if he can get some help making a Merchant Guide and an Altcoin. Want to help out by filling in the gaps? Head over to the threads now and get involved. This is a marvelous opportunity whether you are new or an experienced Feathercoin Citizen. John got in touch with me to say that if we raise $250 worth of Feathercoin that will be enough for him to write a song for a child. How cool would it be if we could help him achieve that? Remember that a Feathercoin is divisible to 100 million units. Our power lies in our diversity and numbers not our personal wealth. New Feathercoin Website as Bittylicious run out of Feathercoin! This year must start with a much needed revamp of the website. Right now it simply does not do us justice. We jumped in so fast that we just didn’t get the time to sort out some of the basics. We even ran out of Feathercoins on Bittylicious this morning (there were 10s of the thousands before Xmas) because sometimes it’s too easy to take on too much at once and lose yourself. Well this week I am making all this a priority. @Wrapper0Feather has started a thread here so get involved if you think you’re hard enough. 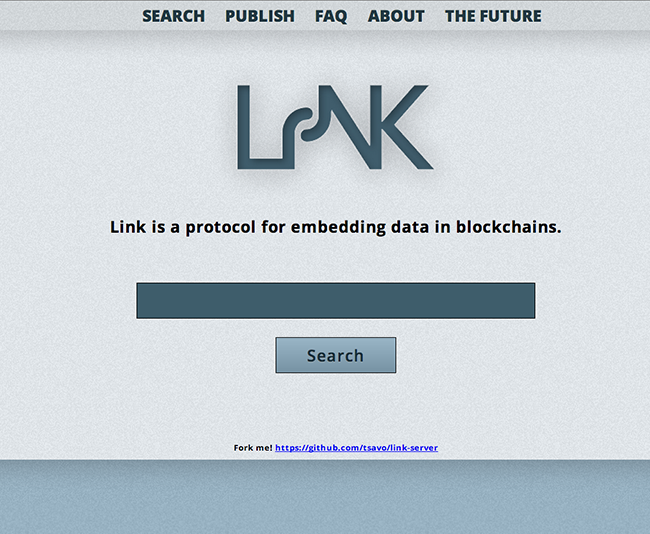 Link is an open standard for embedding data in any Blockchain to create an open market of searchable information that is free of control from governments and censorship. Think pirate bay for crypto currencies but with all the resilience of a distributed network. It is designed to be easy to read, cheap to publish, and difficult to censor. It establishes a free market for permanent publishing on the internet. It also provides the much sought after intrinsic value on to blockchains by giving them a further reason to exist, be secured and distributed in the wallets. Bitcoin is a commodity that is a supported by a community, Feathercoin is community that has rallied around a commodity. @Alessandro will be attending the Bitcoin Conference in Miami, his home town. There is talk of me going as well. In fact @SkullandHeadphones already sent me 300 FTC to help fund the trip. It looks like it will feature some pretty big names. So what do you think? If there is someone from the US who wants to go and represent then I will gladly hand over to them as I would like to see more people get involved offline. These conferences aren’t like other industry gatherings as they are not merely an excuse for employees to take time off work on the company account. They are very productive and inspiring and usually full of great people. To help you break free simply post your Feathercoin Address along with some feedback on the newsletter and @Chekaz (or money bags as we like to call him) will sort you out (260 FTC to give away). Today special thanks go to @Ruthie for her contributions to this newsletter.